The Lady Wolves soccer team ends a spectacular season with a 16-4-1 record and are Regional IV champions. The team went onto battle Delta (Mich.) for the NJCAA Division III District D Championship in Joliet on Oct. 28. The Wolves were down by the half as the pioneers scored their first goal at the 15 minute mark. Freshman Katherine Rasmussen was able to tie the score with a goal at 50 minutes assisted by Lindsey Bond who is third in the nation in assists with 21 for the season. After the ladies gave their all in hopes of proceeding with the postseason, Delta scored another goal at 75 minutes, concluding the 2018-19’ season for our Regional IV Champions. Freshman goalkeeper Daisey Quinonez was able to defend seven of the nine shots on target with a 77% success rate. Quinonez ended the season ranked second in the nation for most shots saved with 144. She also showed up at number 11 in the nation for goals saved percentage with 84.7%. She was constantly creating difficulties for opposing teams. The team had an outstanding season with a number of players showing up on the leaderboards on a national level. In addition to Quinonez and Bond, Sophomore Miranda Nirchi showed off her scoring skills this season with flying colors. Nirchi earned the top spot coming in as number 1 in the nation in goals score this season. Nirchi has no problems passing the ball either ending the season ranked 10 in assists. She also earned first in shots taken and second in points earned. Nirchi ended her sophomore season with 30 goals, 16 assists, 76 points, and 136 shots taken on target. Freshman Taylor Metcalf ended her first season with the Wolves on the leaderboards as well. Metcalf ranked 10 in the nation for goals scored with 21. Her passing ability was also a key aspect to her game. Metcalf ended the season with 12 assists ranking 22 in the nation in assists. She also earned the 10 spot for points earned with 54. The freshmen had a great start to her JJC career with a great offensive presence making her a lethal weapon to the game. The Lady Wolves made their mark on the leaderboards overall as a team. The Wolves ranked high in four categories: shots taken, assists, shots scored, and shots per game percentage. The ladies have earned a reputation of abusing the opposing team’s goalies with consistent target practice. JJC is ranked first in the nation in the shots taken section with a staggering 537 shots taken this season. This earned them second place on the shots per game category averaging 26.9 shots a game, making goalies work. With the ladies firing away every chance they got, it’s no surprise yhe Wolves earned themselves the third spot in the nation for goals scored with 85 goals. The team worked very well with each other with great passing awareness earning themselves 124 assists and topping the leaderboards coming in at first. 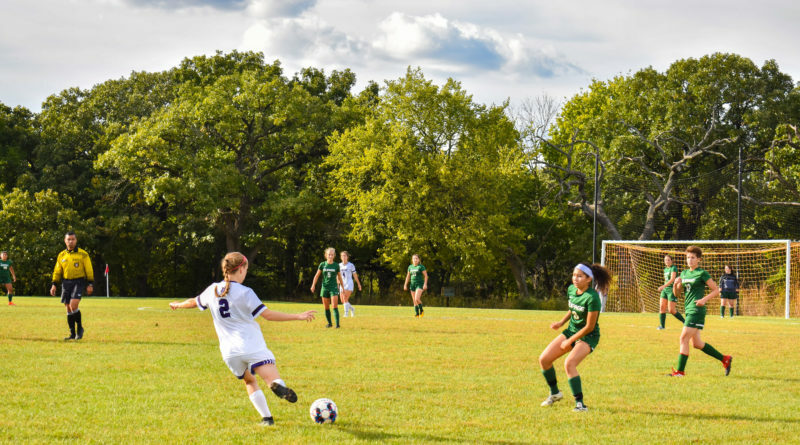 The JJC Lady Wolves has become a strong, well rounded, and unselfish team under the wings of Coach Wesley Dapkus, who has just finished his third season as head coach of the Women’s soccer team. The team is young and full of bright talent that created struggles for any opponent by their team chemistry, relentlessness, and love for the sport. The JJC Lady Wolves has made their school very proud. The 2018-19’ women’s soccer team was something special. Excellent season ladies!